As we gear up for the August 12 opening of our San Diego store at Westfield UTC, we’re excited to get to know the local scene. One such place is the Hotel del Coronado, an iconic San Diego landmark for more than a century. 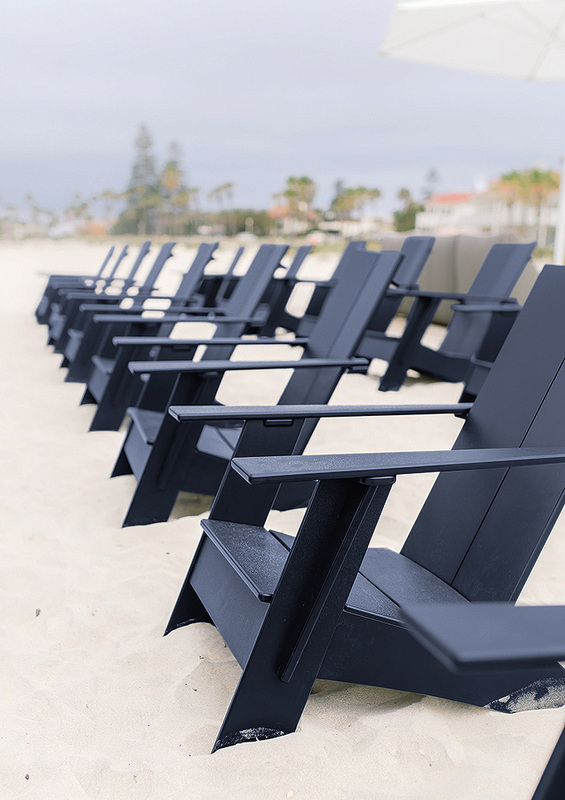 We partnered with the Windsor Beach Club, a beautiful outdoor lounge area where the property’s Club at The Del members enjoy sun and sand, to provide outdoor furniture for their space. “The two iconic, luxury brands were a natural fit,” said Wayne Harth, Director of Membership Services and Special Events. Durable, weather-resistant Sunbrella® fabric keeps the Maya sectionals and Crest swivel chairs looking fresh throughout the season. Perfect for lounging, this space is a favorite at sunset. Also shown: Gehry cubes and Maui umbrellas. Rows of Emmet chairs await guests enjoying lunch or a day in the ocean. The 100 percent recycled plastic is both environmentally friendly and extremely durable. And the navy color is particularly striking against the soft sand. 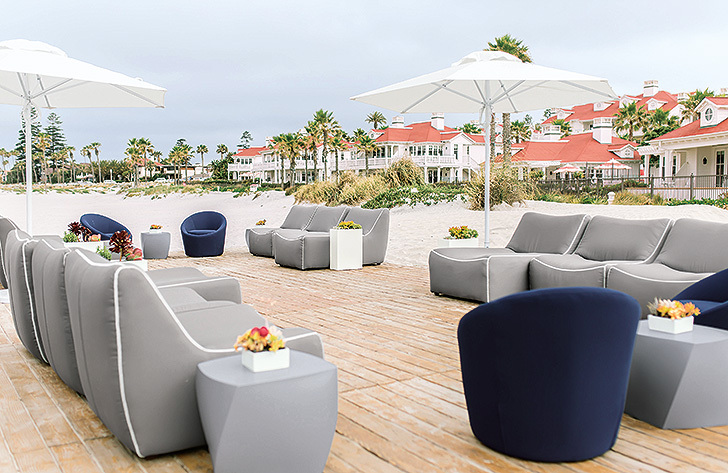 The Room & Board product featured in this post was gifted to the Hotel Del Coronado to furnish the Windsor Beach Club.